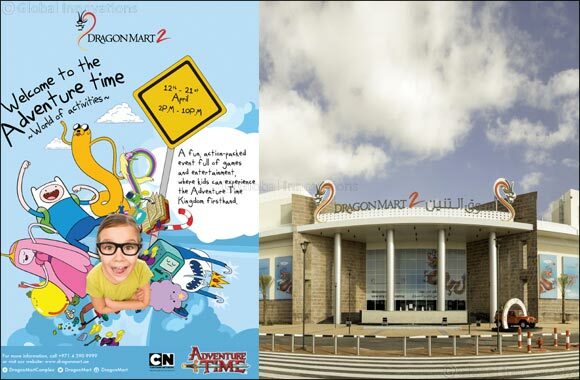 Dubai, 8 April 2018: Dragon Mart has created an exciting, interactive activity zone – based on Cartoon Network’s popular animation series Adventure Time – bringing non-stop, action-packed games and entertainment for children from the world of Finn and Jake and their amazing life in the Land of Ooo. The 10-day attraction, running from 12 April to 21 April, is themed around the different kingdoms in the Land of Ooo. It features Finn and Jake’s Tree Fort, the Candy Kingdom with Princess Bubblegum’s castle and the Ice Kingdom, home to the Ice King. Open daily from 2pm to 10pm, the attraction also boasts a multitude of Adventure Time-themed adventures including an obstacle course, a Tree Fort cinema, the Candy Kingdom ball pit and a range of games. Next Story : Happy First Anniversary, John Lewis!